GMVN Tourist Rest House in Kotdwar is a budget rest house in Kotdwar. 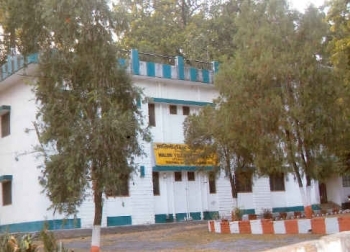 Kotdwar is located at the foothills of the Shivaliks, 101kms before Pauri. It is known as the gateway of Garhwal. The GMVN Tourist Rest House at Kotdwar provides the travelers with Economy Class and Dormitory Rooms. GMVN TRH in Kotdwar is located near the Head Post Office. Kotdwar is situated at the foothills of the Shivalik range in Pauri Garhwal district of Uttarakhand state. It is situated on 204kms from Delhi at an elevation of 356mts above sea level. The GMVN Kotdwar offers well appointed budget accommodation in 04 Economy rooms and 06 Bedded Dormitory. The rooms are spacious and has basic amenities such as attach bath, hot water, etc. The restaurant in GMVN Kotdwar serves variety of mouthwatering dishes.